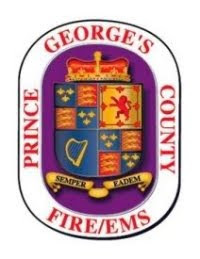 Perhaps you may recall the story from May 2018 when a shift of Prince George's County Firefighters took it upon themselves to take action after hearing a WTOP radio story of a neglected landmark within their first due response area. You can read the story by clicking here. 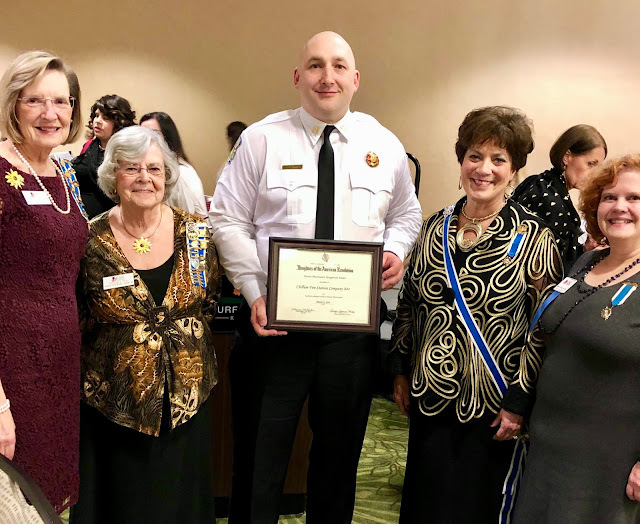 A very distinguished organization, the Daughters of the American Revolution (DAR), heard the story and were quite impressed with the actions of Fire Captain Danon Ushinski and his crew of firefighters on D Shift from the Chillum Fire/EMS Station 844. The DAR were so impressed they recognized and awarded our firefighters at their 114th State Conference of the Maryland State Society Daughters of the American Revolution. 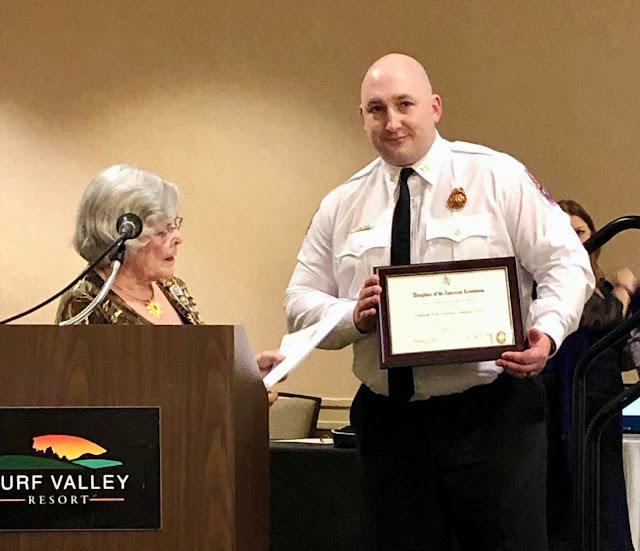 The awards banquet was held at the Turf Valley Resort in Ellicott City on March 21, 2019. Captain Ushinski attended and accepted the awards on behalf of his shift. The Chillum Fire/EMS Station was recognized based on a nomination from Maureen Tipton, State Regent; Barbara May, Historic Preservation Awards Chairman; Pat Arata, DAR; Finkle Sourlis, DAR and her husband. The Chillum Fire/EMS Station received two awards. The Historic Preservation Award(s) at the State and National level. New Hampshire Ave and Eastern Ave. The DAR also donated snacks for all the firefighters and will soon donate something to benefit the entire station. Barbara May, Historic Preservation Awards Chairman presents Captain Ushinski with the Historic Preservation Award. Pat Arata, Barbara May, Captain Ushinski, Maureen Tipton-State Regent, and Susan Finkle Sourlis.